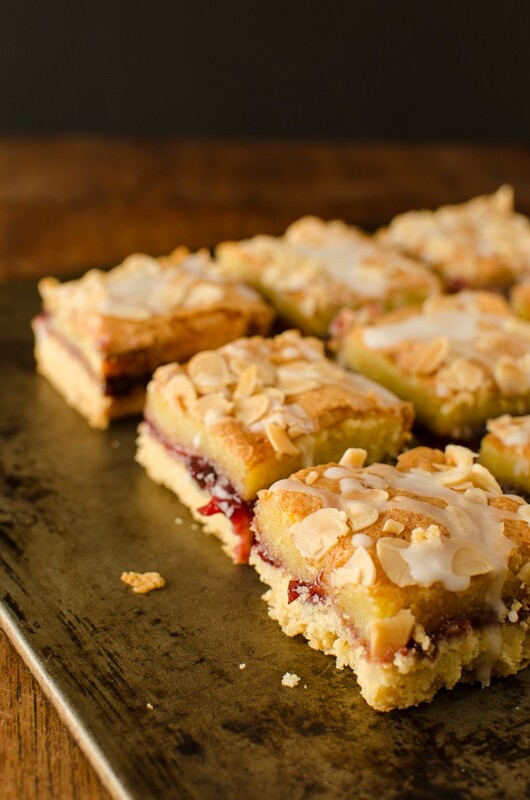 This past weekend I woke to a sunny Spring day and a yearning for a cakey and biscuity homemade bake. 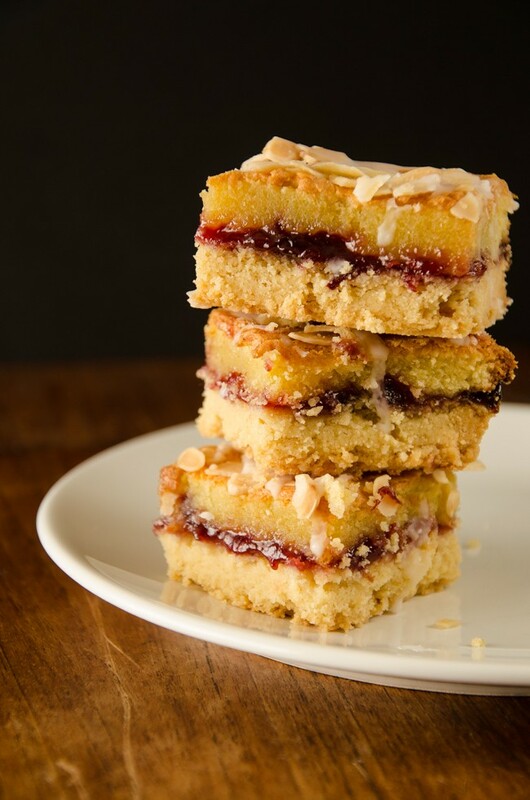 I had been sorting out the jam from last year and found I had rather a lot of damson jam left over and some how a bakewell slice type of cake popped into my head. 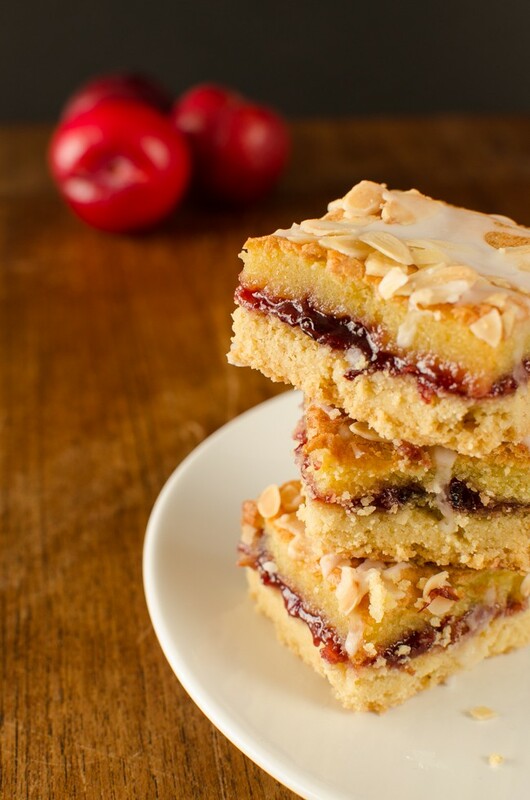 Perfect; uses up some jam, biscuity base and almost cake like top. I was right; it ticked all the boxes and I polished off 3 slices while taking the photographs. Never mind as a good long dog walk in the sun (probably) burnt off some of the calories and it made me happy to bake it, eat it and and give the leftovers to the guys at work. Top up your vitamin D levels! I have adapted a recipe I found online at www.bakingmad.com. Preheat the oven to 180 C or fan 160 C.
Make the base by rubbing the butter into the flour, rice flour, baking powder and salt until it resembles fine bread crumbs. This made my hands ache like anything so I suggest you use a food processor if you have one. Bring the crumbs together into a ball and lightly knead for a few squeezes to make sure it all sticks together. This part is important otherwise your shortbread base will be too crumbly, but in a nice way. Tip in to a large square or rectangular baking tin (about 8″ by 12″, or 20cm by 30cm) and press down so equally covered. Bake for 20 minutes then allow to cool. While the base is cooling, make the top layer by whisking the eggs together in a large bowl then adding the other ingredients except the second lot of butter, which you melt first then whisk in. Spread the jam in a generous layer over the cooled base then pour over the topping. Cook for 20 minutes then sprinkle over the flaked almonds (this stops them getting too brown) and cook for a further 15-20 minutes. It is done when the top is golden and spongey. Leave to cool for half an hour and then drizzle over a simple sugar glaze made by mixing the icing sugar with just enough water to allow it to drizzle successfully. Now cut into slices and cool completely on a cooling rack. Makes about 20 pieces.